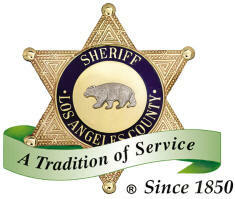 (DCS) is a volunteer organization administered by the Sheriff's Department Emergency Operations Bureau for the Los Angeles County Board of Supervisors. Our main function, authorized under County Ordinance, is to provide disaster relief communication for the citizens of Los Angeles County. Over 800 Members donate over 100,000 man-hours a year at no cost to the Taxpayer! Each City in the County has chosen amateur radio as their government communications back-up system. During major incidents our members serve as a critical link that allows information and ultimately resources to get to their destination. Our members coordinate, transmit and receive command and liaison traffic while staffing locations and shadowing key personnel. This allows County Government and City Governments; Law Enforcement and Fire Agencies and other disaster relief agencies to coordinate and communicate their efforts in real time. The Disaster Communications Service is headquartered at the County Emergency Operations Center. DCS operates at each Sheriff Station in addition to Emergency Operations Centers in 56 Cities, Fire Stations and with other agencies throughout Los Angeles County. The Amateur Radio equipment installed at each Sheriff Station is owned by the County, as is a mountain-top repeater station and mobile command units. All other equipment is owned by individual members or by a volunteer organization formed by the members. In our ongoing effort to provide excellent service, DCS members must participate in ongoing drills and training programs. Our Rapid Deployment Team is staffed by members assigned to each Station and is capable of activating and providing services anywhere in the County in two hours or less. This Team has additional qualifications and training requirements. DCS members have fully integrated into the emergency response plan, local stations; hospitals' and regularly work alongside Law Enforcement and other agencies including County and City Fire, Red Cross, the FBI and FEMA. When all else fails; Amateur Radio works. The Disaster Communications Service proudly serves the County of Los Angeles.